Online registration is now closed. On-site registration will be available at the starting line for Half Marathon, 10K and Kid’s Race participants. The 5K is sold out. Yes! All they need is a copy of your ID (phone photo works, too). What if I can’t make it to packet pick-up at all? It is HIGHLY recommended to pick up your packet on Saturday; However, there will be race day packet pick-up at the start line starting at 5:45 a.m. If you are picking up on race day PLEASE arrive one hour prior to your start time. 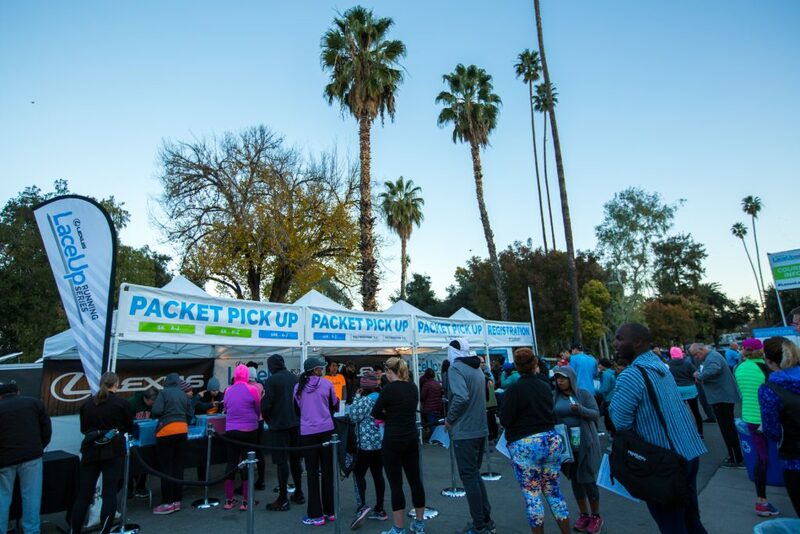 Same-day packet pick-up will close 15 minutes before each race. Changing Distance or Transferring Your Entry to someone else? 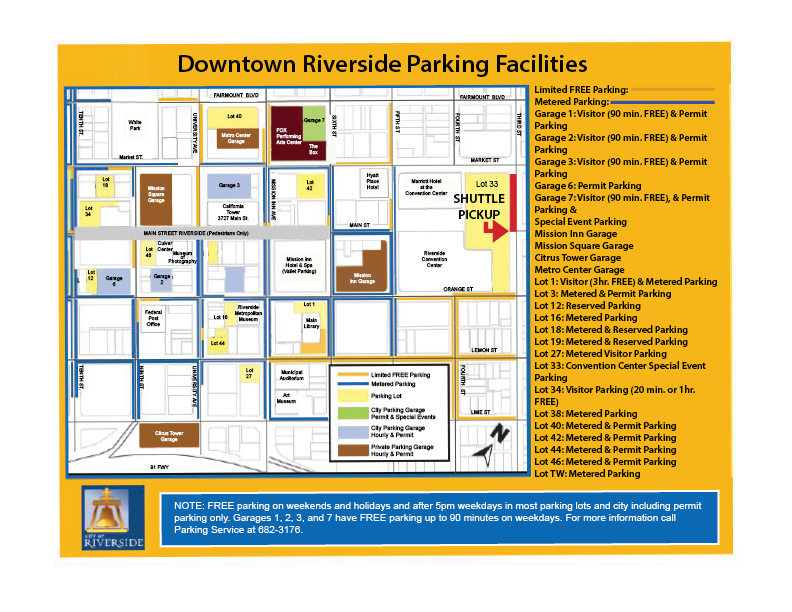 The map below shows all the free parking lots in downtown Riverside (in yellow). Shuttles: LaceUp will be running shuttles from Lot 33 (3700 3rd St, Riverside, CA 92501) to the event venue. Please note that Lot 33 will fill up quickly. 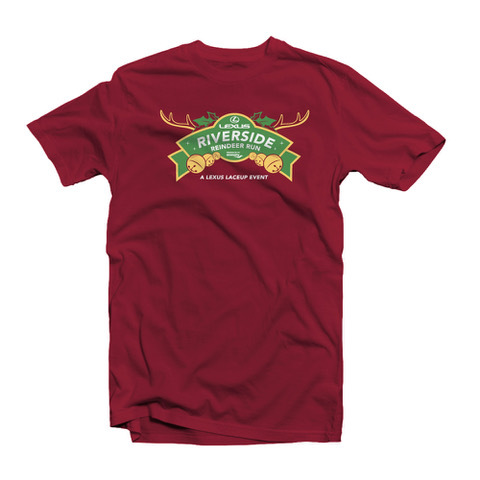 Runners are recommended to use the lots available in downtown Riverside, then walk to the shuttle pick up location. 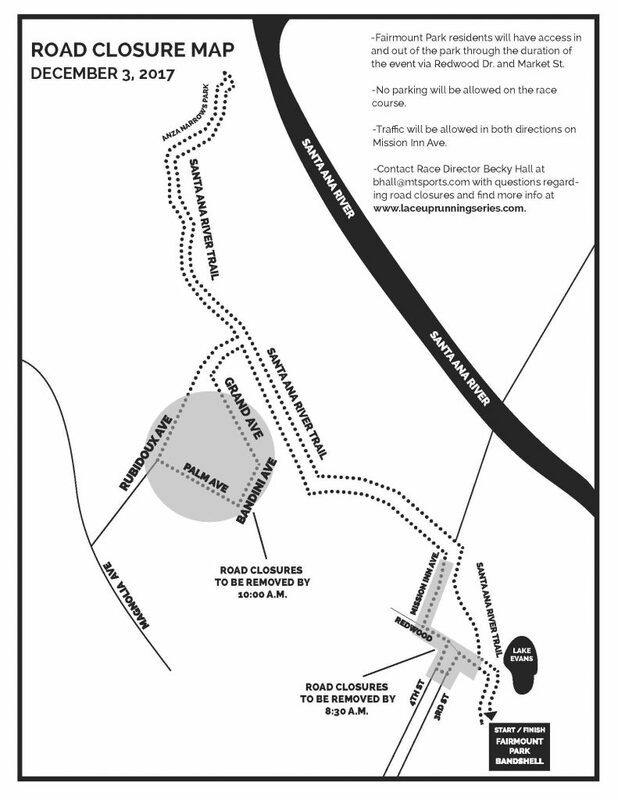 Road closures are marked on the map below in grey. The will be put in place at 6:00 AM. Each runner will receive the following 2017 medal after finishing the race. Double medals, series challenge medals, age group awards and overall awards can be picked up at the results tent. 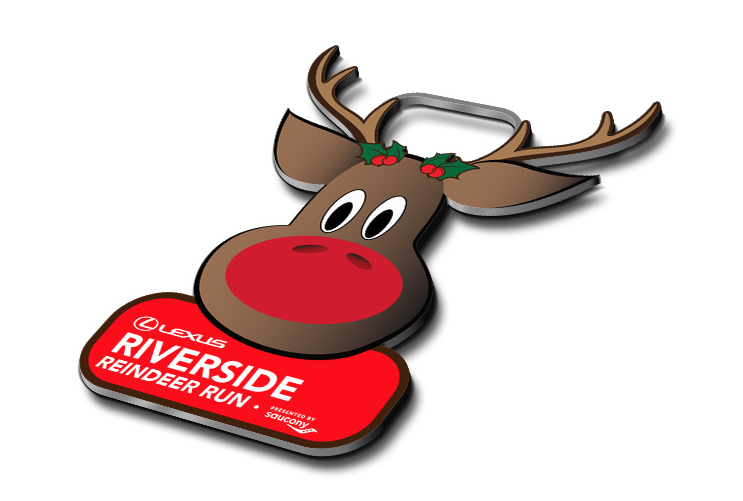 – Runners can pick up their complementary reindeer antlers or Santa hat during packet pickup. First come, first served. – Be on the lookout for local choirs caroling along the course! 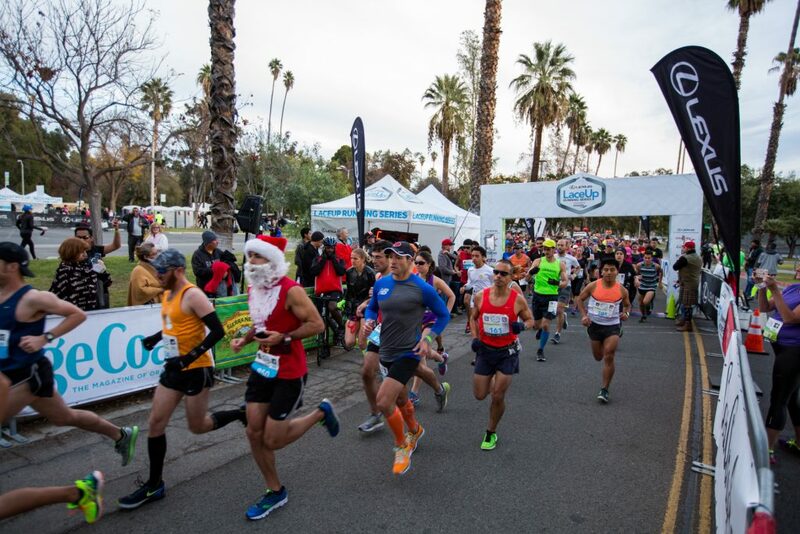 For information on aid stations, pacing and age groups, please find your race distance on the “Event Info” tab, or by clicking HERE. ** Mileage markers are approximate. Free gear check will be available at the start/finish line. Gear check numbers are attached to the race bib. 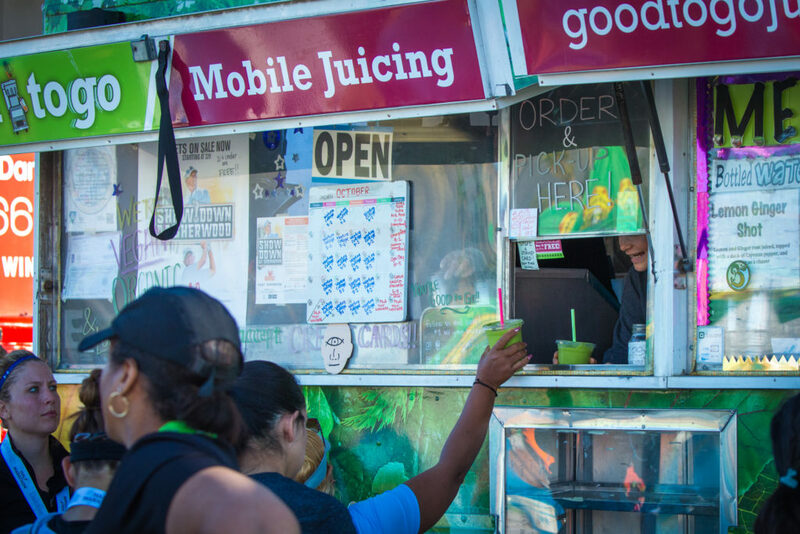 Stick around after the race for the Health and Fitness Expo, Craft beer garden, and food truck brunch! Food and beer vouchers are attached to the race bib. Core Power Yoga and massage therapists will be on site for your post-race enjoyment. SCS Photoworks will be out on the course snapping shots of LaceUp runners. Be sure to smile and then look for an email directing you to FREE photos for social media. High-resolution photos will also be available for purchase. 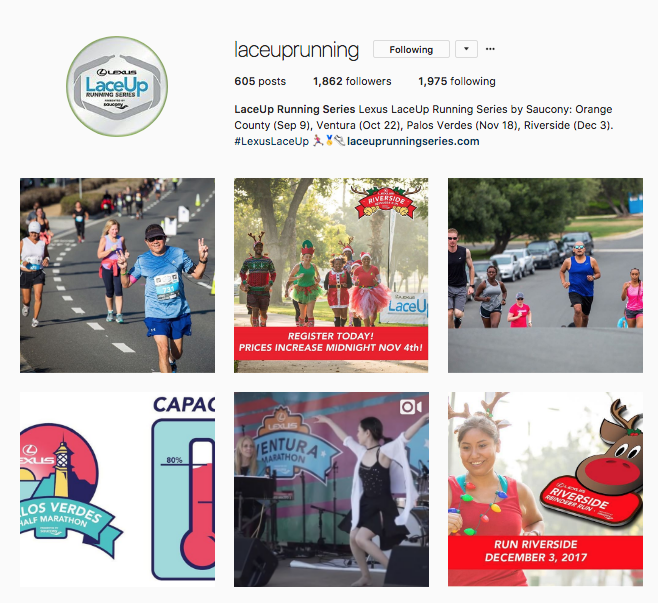 Follow LaceUp on Facebook, Instagram, and Twitter for race updates, product giveaways, contests, live video and race photos. Refer your friends and win rewards! When you registered for a 2017 LaceUp race, you received a personal promo code that you can send to friends. 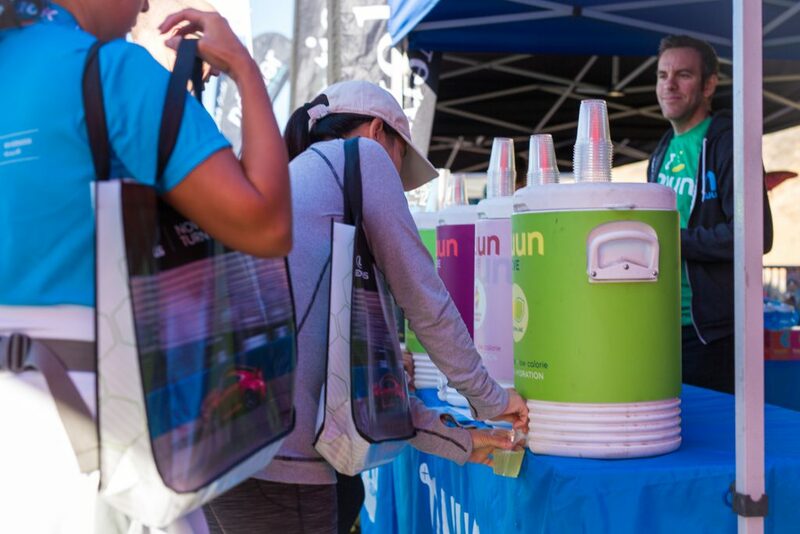 As you recruit runners, you’ll collect rewards. Learn more, HERE.